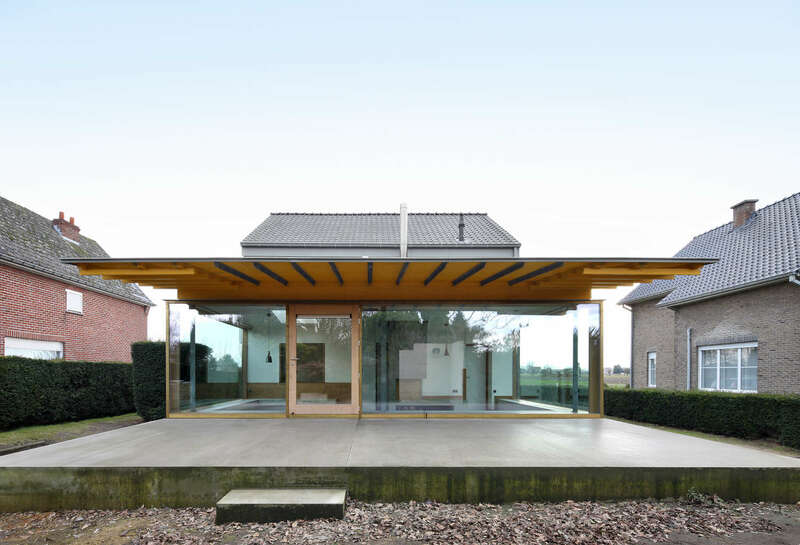 A freestanding house in Kalken is renovated by architect Jo Van Den Berghe and extended with a transparent living room and articulated roof. 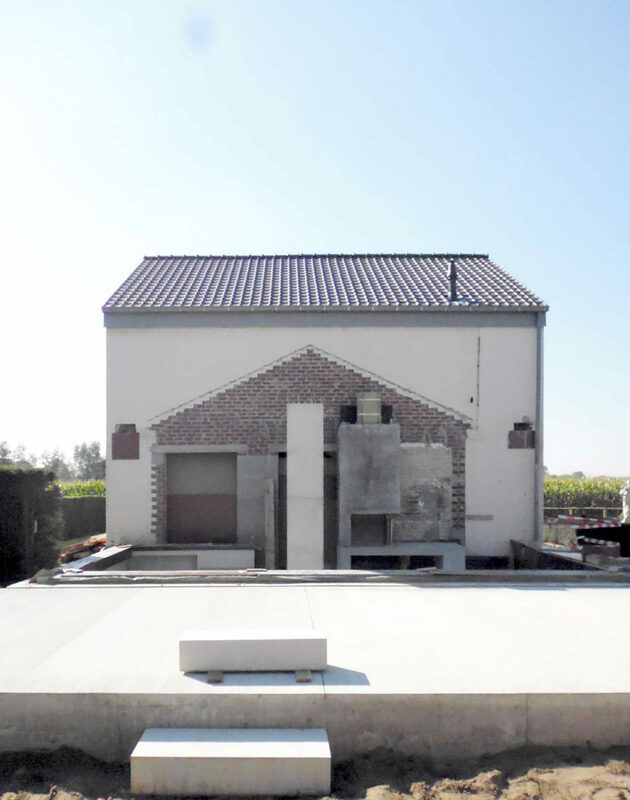 A concrete pedestal demarcates a terrace on the exterior. 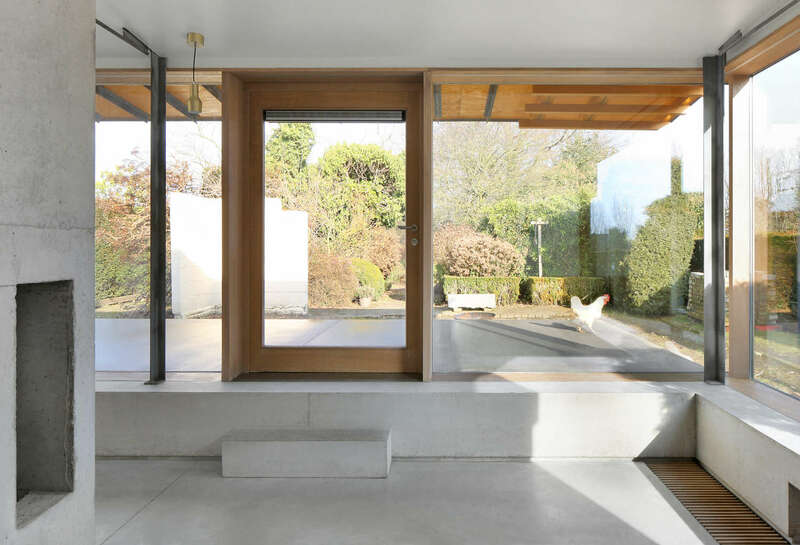 On the interior a reduced zone forms the living room and windowsill. 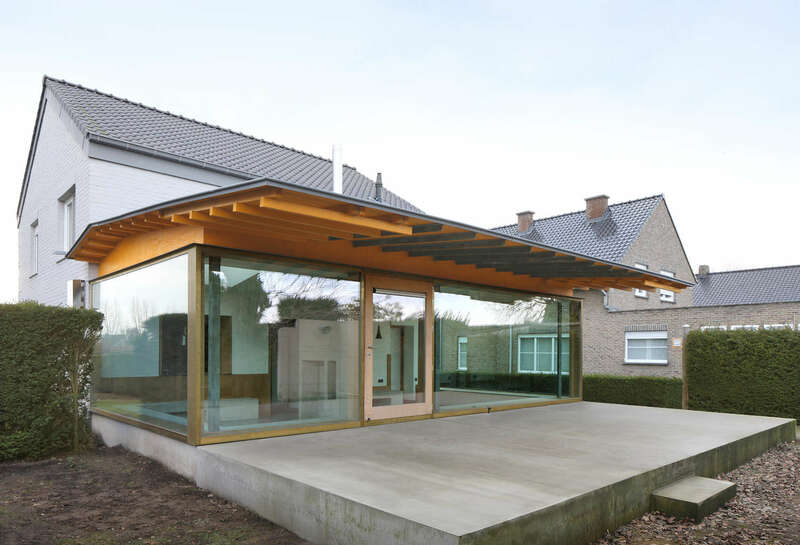 A new gable roof runs above, passing the facade two meters. A steel frame along the back window consisting of 3 columns (2xL100/10 and a central T100/10) with above an IPE180, keep up the 3 wooden trusses; a thin rod works as tie-beam. From the cam bar, steel T80/9 sections run through the wooden structure keeping the cantilevered roof slender.